It is my pleasure to write on behalf of Susan Radley. I have had the privilege of knowing Susan professionally for many years, and during the last four years she has been working with me in the Saint Paul Public Schools where I am the Chief Education Officer. In Saint Paul she has developed, planned, and implemented the Writing Initiative we requested of her, building the capacity of the district from a single school involved when she began her work in the fall of 2000 to having all 50 Elementary schools involved in the fall of 2004. Ms. Radley has taken the lead in the Writing Initiative, and developed a three-phase approach to the implementation of standards-based instruction with the support of literacy coaches. Today the design for Writer’s Workshop is well established, including content, training, and follow-up coaching. The three phases of the Writing Initiative provide teachers and administrators with three levels of training and implementation. The Level I training includes establishing the Writer’s Workshop in the classroom and launching the writer’s notebook, genre study, memoir, and analyzing and assessing student work. In Level II training, teachers observe Writer’s Workshop demonstration lessons, debrief on the lessons observed, discuss collaborative lesson planning with the demonstration teachers, learn about genre of studies in nonfiction and poetry, and engage in analysis and assessment of student work. In Level III, lead teachers receive advanced training in Writer’s Workshop, and gain an opportunity to become staff developers at their own site in order to build district-wide capacity. 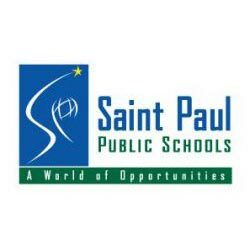 Ms. Radley was one of the key developers of the Project for Academic Excellence that was introduced in the summer of 2002 to provide the unified direction for curricular reform across all Saint Paul Public Schools. Drawn from much research, planning, and experience, the project is designed to unify the district’s reform efforts around a standards-based program. As a result of Ms. Radley’s leadership and dedication to reform, we launched this effort with the training, internal capacity, and resources to offer the greatest promise for success in classrooms throughout the district. Through study groups and network meetings, Ms. Radley and the district literacy coaches give teachers support in standards-based practices. They learn how to analyze a student’s performance against standards, determine the strengths and weaknesses of that performance, and determine what features of the performance need to be refined and how they will be refined. During these meetings, teachers have the opportunity to actually begin to develop the skills of analysis and feedback, while practicing these skills with each other. Ms. Radley also has been key in the development of the Middle School Literacy Initiative. Literacy at the secondary level provides teachers of participating schools with the necessary training, leadership support, and resources needed to establish standards based on reading and writing in their classrooms. The overall goal is to create content-rich, standards-based classrooms. Saint Paul Public Schools is very proud to have Ms. Radley as the key leader in the development of a district-wide Literacy Initiative. In the state test known as the Minnesota Comprehensive Assessment, which is given to all 3rd and 5th graders, the writing results this year reflect the work the teachers are doing in their schools. All the schools in the Project showed an increase in the writing results, as well as an increase in the reading results.